WASHINGTON — President Donald Trump and other prominent Republicans are attacking Virginia Gov. 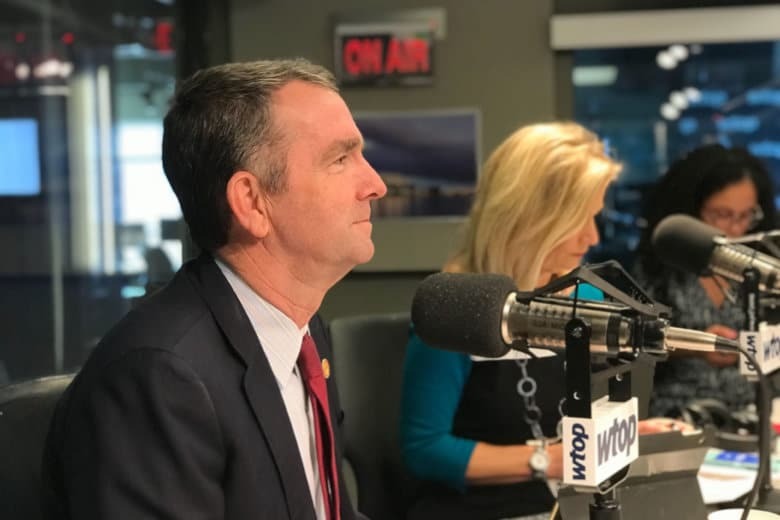 Ralph Northam for comments he made on WTOP’s “Ask The Governor” program Wednesday. The controversy actually started on Tuesday when a video of Fairfax County Delegate Kathy Tran, the bill’s sponsor, circulated online. In the video, Tran acknowledges that her bill would allow women to seek abortions at any point in her pregnancy — including late into their third trimester– if their physical or mental health were at risk. The policy of permitting final trimester abortions when the mother’s life and/or physical or mental safety is at risk is already legal in Virginia. Still, reaction was swift. Several GOP figures and conservative groups voiced their outrage, prompting WTOP to raise the question to Northam during Wednesday’s “Ask The Governor” segment. NBC 4’s Julie Carey asked the governor whether he supported Tran’s measure, which she said would provide women with the right terminate their pregnancy even as they are in the early stages of giving birth. Northam responded by saying Tran’s comments were “blown out of proportion.” He pointed out that third-trimester abortions are rare, performed only in cases where there are severe fetal abnormalities — or a nonviable pregnancy. He went on to say that, on the rare occasion that a woman did want to terminate her pregnancy while she was in labor, the infant would be delivered and kept comfortable. Several conservative leaders, including Sen. Marco Rubio of Florida and Republican National Committee Chairwoman Ronna McDaniel, interpreted the governor’s words as defending infanticide.